Home water demonstrations for municipal waters are free! For those living in Grande Prairie or surrounding areas, the water is consistent and we know what is in the water. The purpose of our free demonstration is to show you how the various Kinetico products work so you can experience first-hand the benefits of a treated water system. At the same time, we can also do a plumbing audit to advise you on the best option for your home. Wells, dugouts, ponds and surface water are more complicated because each well is different. There is not “one water system that fits all types” so we do need to test your water to ensure we’re suggesting the proper equipment. For example, if you have high iron content and zero hardness that would be a different system than one with zero iron and high hardness. Either we will come to your home and do a demo and plumbing audit, or if you live far away, you can send a water sample to be tested at our shop. There is no charge for water testing done at our shop, however, if there is a concern of bacteria (especially in dugouts or surface water) or in the rare case a comprehensive laboratory test is necessary, there is a cost with taking it to a laboratory for more research. 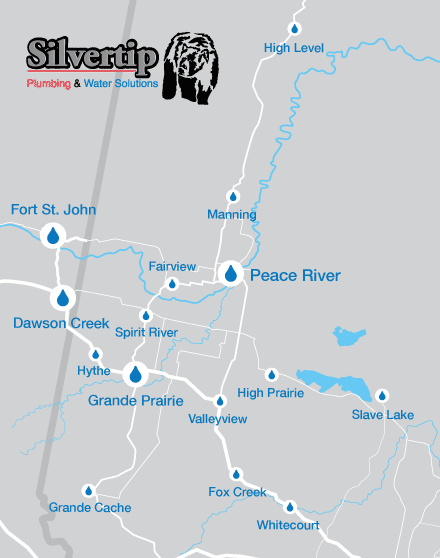 If you purchase a water system with Silvertip, we refund the lab test charge in full.